The filing period for the Democratic Primary for the 10th CD Congressperson runs from noon on Monday 3/12 to Thursday, 3/29, at 5pm. Campaigns wishing to file at the earliest opportunity for ballot access reasons can file at Chairman Pruckowski’s condo in Leesburg (contact him for the address) at noon on Monday March 12. All persons inside the condo at noon count as filing at noon. Campaigns wishing to file at another time within that filing period should reach out to Chairman Pruckowski (540-409-1175/ zachary.pruckowski@gmail.com) to make an appointment to file, or mail the paperwork to him (again, contact him for address). 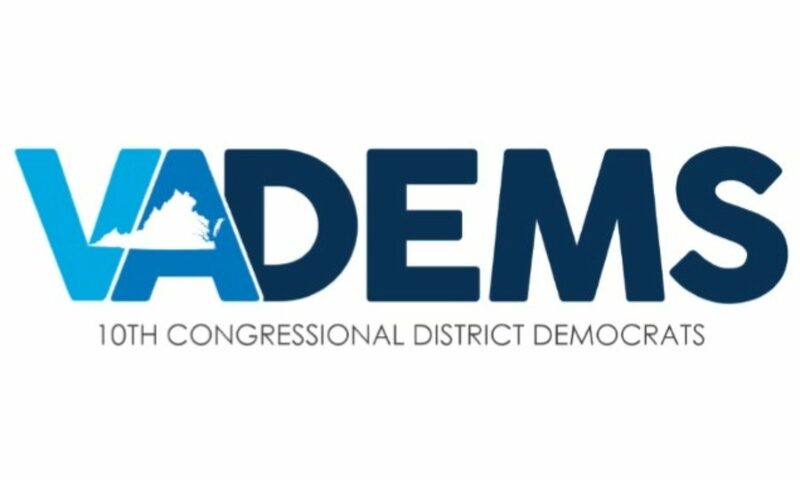 The 10th Congressional District Democratic Committee is one of the eleven Congressional District committees that form the Democratic Party of Virginia’s Central Committee, representing Democrats who reside in Virginia’s 10th Congressional District. All members of the committee reside in the 10th District and are active in the Democratic Party.